As most of you already know, our son, Bill, has been courageously battling end stage renal disease for the past two years now. He has been on dialysis three days per week, four and half hours per day. This is keeping him alive and he is doing pretty well, but he is still unable to work very much as he is usually exhausted after the treatment. We are told that his only real shot at a long and healthy life is to receive a kidney transplant as soon as possible. Praise the Lord, Bill has a friend named John who is willing to donate one of his kidneys, and is a match. John will be finishing his testing on September 23, 2014 at Lehigh Valley Hospital in Pennsylvania. If he passes all the tests, a surgery date will be scheduled. However, due to the extraordinary expense of transplantation, as well as Bill’s inability to work, funding this life-saving operation is a monumental task. Bill is on Medicare, which is a blessing, but many of his medical needs are not covered and must be paid out-of-pocket. He will need $5,000 before the doctors can start the transplant, and will need between $20,000 and $40,000 for the immunosuppressant medications that he must take for the rest of his life! Also, the expense of traveling to and from the hospital will be high. These present challenges Bill cannot meet alone. To reduce this financial burden, a fundraising campaign in Bill’s honor has been established with HelpHOPELive, a nonprofit organization that has been assisting the transplant community for 30 years. All donations are tax-deductible, are held by HelpHOPELive in the Mid-Atlantic Kidney Transplant Fund, and are administered by HelpHOPELive for transplant-related expenses only. You can help make a difference in Bill’s life. Please prayerfully consider making a contribution. It is never easy to ask for assistance, but funding Bill’s transplant is a difficult challenge and he needs your help. We thank you in advance for your financial gifts, support and prayers. All are greatly appreciated. Bill received his new kidney from his good friend John on September 30, 2015! Praise the Lord for answered prayer and a humongous thank you to all who have uplifted Bill in prayer these past three years and John this past year and half. The surgery went well and both patients are improving steadily. All glory be to God! We are so happy to share the wonderful news that Bill received his transplant on September 30. Both Bill and John are out of the hospital and are doing well! Thank you to everyone for their care, support and prayers. Bill has heard from John, his potential donor, saying he can be retested in May 2015. Keep John in prayer as he diets to bring his calcium oxalate levels down. Thank you again to all who continue to pray for Bill and John. Your prayers are appreciated! Received some discouraging news on Monday. John will not be able to donate a kidney at this time as he has an abnormal level of calcium oxalate in his system and the nephrologist will not agree to a transplant at this time. John is on a special diet to reduce the amount of calcium oxalate in his system. Continue to pray for John, Bill and the families involved for patience and increased faith during this time of waiting. Thank you. Our love and prayers are with you Bill and your family. Bill, may you have a full and speedy recovery! Stay strong! Hello friends. We send hugs and you can be sure that Bill is in our prayers. 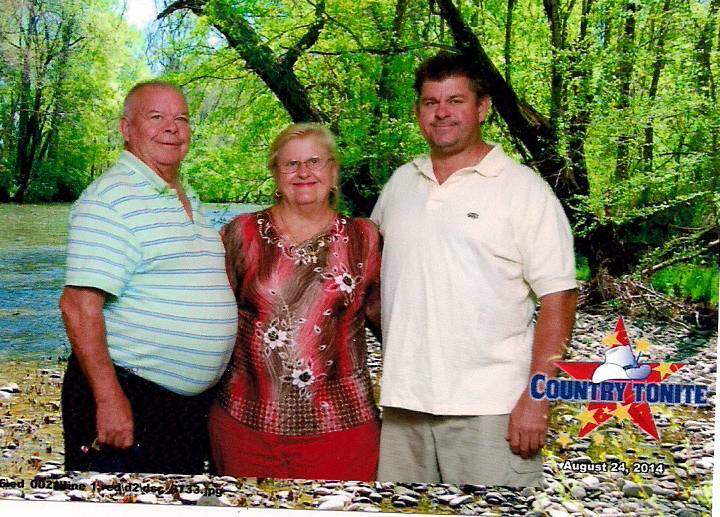 Hello Bill, Carol & Billy: It was nice seeing you last month when you visited Tennessee. Blessing & hugs all around; best of luck with your health challenges! We know you'll pull through with the support of your faith, family & friends. Keep us posted! Bill, I have been praying for you for a long time that the Lord would provide another donor. Praise God that He did! I will continue to pray for you. He is also able to provide all of the money needed. I know He will. May He abundantly bless you. Hello Bill Just received your letter from your parents. You will be in our prayers and we will support you financially. we miss you and haven't seen you seen your party. I have a new cell phone 973-864-0910. you can text me. the Lord has a plan for everything that comes into our lives. He will never leave you and forsake you.